Something big is happening today: The FIFA World Cup! To get you fully prepared for it, we have written on some of the mobile apps you can download to keep yourself updated with what’s happening. 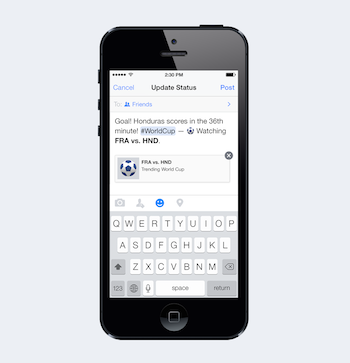 If that’s not enough and you are a social media junkie and get most of your news there, both Facebook and Twitter has come out with a comprehensive guide on how you can follow the World Cup action from both the platforms. 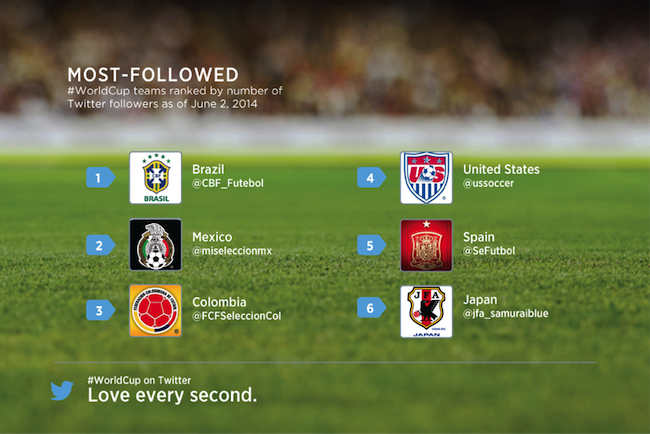 On the world’s leading microblogging site Twitter, the countdown is well under way to the 2014 @FIFAWorldCup in Brazil, and the conversation is building on Twitter. 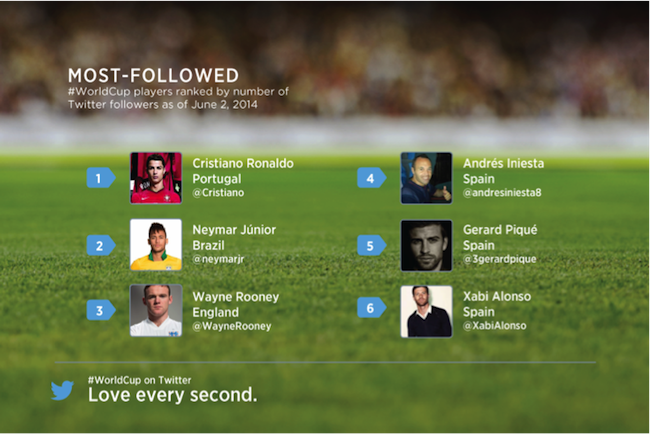 In fact, there have already been more World Cup-related Tweets this year than during the entire 2010 tournament. The #WorldCup will happen on the pitch, but also on Twitter, giving people the chance to get closer to the action than ever before. Fans can get real-time updates on Twitter from their favourite teams, players, coaches, journalists, celebrities and fellow fans. 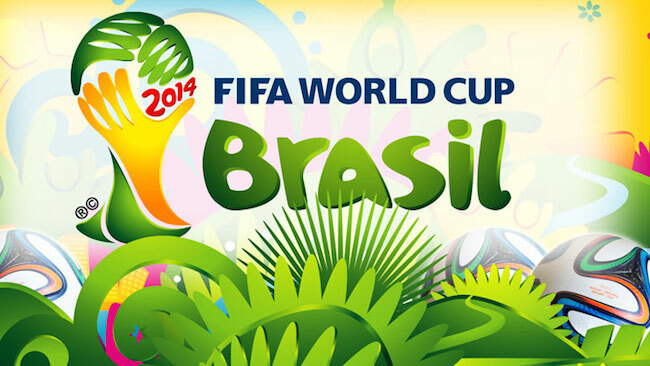 The official hashtags for the 2014 World Cup are #WorldCup and #Brazil2014. Hashtags join conversations together on Twitter, so follow along to keep close to the action, or use them in your own Tweets to join the global conversation. 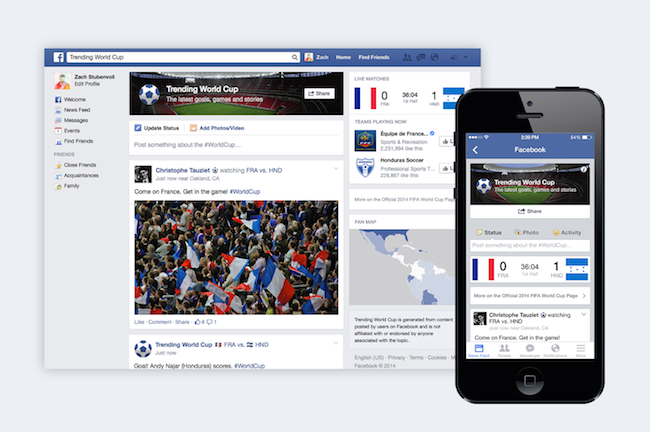 Other than Twitter, you can also follow all the World Cup action on Facebook. Specially for the global event, Facebook is launching a new experience called Trending World Cup and a character called “The Ref”. Like his Page for colorful commentary and updates about the matches. The FIFA World Cup 2014 will take place from June 12th to July 13th, with the opening match in Sao Paolo between Brazil and Croatia today. So be sure to tune in with Facebook and Twitter for real-time updates on all the action for the 64 matches!